Find your ABA Member Number. Pay dues, obtain a copy of their invoice or print a receipt. Join an ABA practice specialty group. View and update subscriptions to periodicals. IMPORTANT NOTE: The ABA has launched a new website at americanbar.org. Please bear with us as the dust settles and we, eventually, update the out-of-date information below. Contact us if you have any questions. Thanks! Log in to MyABA here. Or instead, click the “Login” button at the top of every abaforlawstudents.com page. If you’re already logged in, you’ll see a “MyABA” link instead. 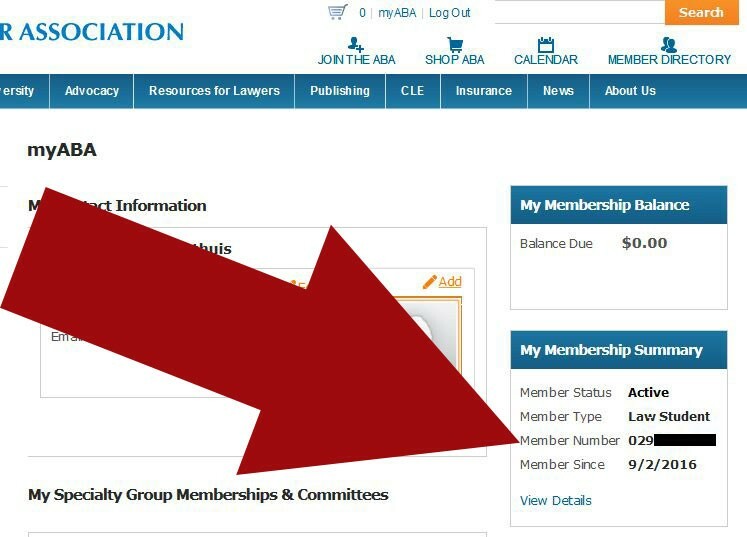 Your ABA Member ID can be found below. Find your ABA Member ID Number here. You can also confirm you Premium Law Student Member status in MyABA. Premium Law Student Division Members receive exclusive benefits and resources. Go Premium today! Look for the words “Premium Law Student” to confirm. If you’re having trouble accessing MyABA, or you’d just rather talk with someone, call the ABA Service Center. 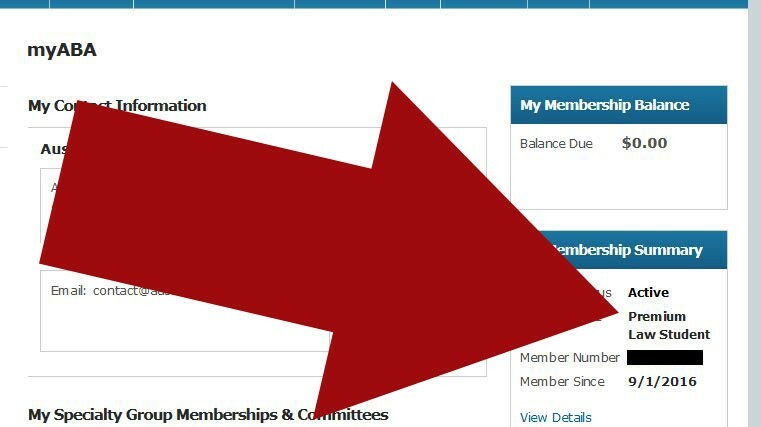 They can help you join Premium, find your ABA member ID number, confirm your membership status, or answer any questions related to membership.